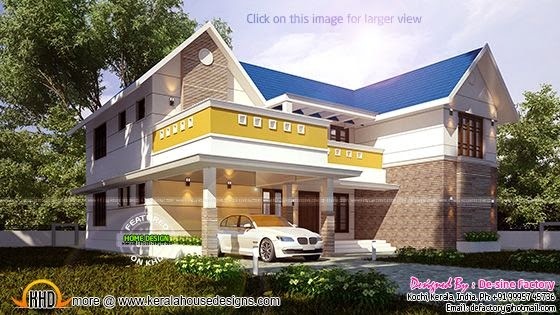 Floor plan and elevation of this 2785 Square Feet (256 Square Meter) (309 Square Yards) provided by De-sine Factory, Kochi. Ground floor : 1658 Sq.Ft. First floor : 1127 Sq.Ft.